Experts expect the trend to continue. In 2017, the sales of pharmaceutical products in Ukraine increased by 20% up to 70bn hryvnyas. The in-kind growth reached 7%, or up to 1.224 billion packages. These are the findings of the "Pharmaceutics of Ukraine. The Infographic Atlas" research presented in the Ukrainian Chamber of Commerce and Industry on 24 April. It was prepared by the TopLead company with the support of the Business Views project, the Ukrainian Chamber of Commerce and Industry, the AEQUO law firm and Pharmaceutical Firm Darnitsa, a private joint-stock company. 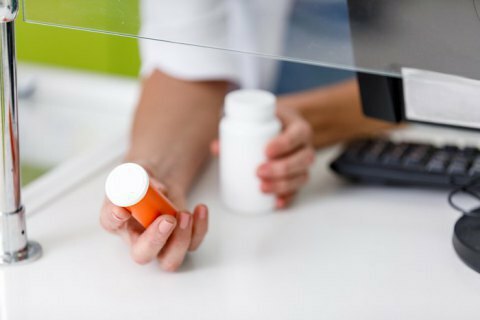 According to the research, in 2017 both retail sales and hospital purchases of medicines has been increasing. Thus, in monetary terms retail sales rose by 21% to 61.2bn hryvnyas, in-kind sales by 7%, up to 1.115 billion of packages. Hospital purchases increased by 10%, to 8.8bn hryvnyas; in-kind purchases by 15%, up to 109 billion of packages. Experts expect the pharmaceutical market to continue growing. "The level of medicine consumption is fairly low in Ukraine. Therefore, there is a great potential for growth,: Ihor Nikiforchyn, Director of Development at Pharmaceutical Firm Darnitsa, said. According to studies, one Ukrainian consumes medicines worth roughly $62, a UK resident, $383, a Swedish national, $501, and a Canadian, $587. As the authors of the study point out, the growth of manufacturing and consumption is a world trend. Every year the global pharmaceutical market grows by 5-6%, and, according to projections, it is expected to grow by 34%, up to $1,485bn, between 2017 and 2021. Countries with emerging pharmaceutical markets will account for almost one quarter of the proposed increase. As far as production is concerned, countries with emerging markets will soon receive competitive advantages after many patents for well-known products expire. "A patent is, in fact, a monopoly. A patent hype is now going down; the number of global valid patents is shrinking. It means that new countries get opportunities for competition," Alexander Mamunya, a lawyer and patent attorney of AEQUO, explained. In his words, the issue at stake is the production of generic drugs, authorized copies of original medicines. Generic drugs are usually considerably cheaper than brand names. That gives their producers a competitive advantage in the market. According to the data presented in the study, Ukrainian drugs are 4-16 times cheaper than those made abroad.